Data analytics has become increasingly touted as a means of transforming healthcare, not least with the rapid advancement of artificial intelligence. But can potential concerns around privacy – not least amid the looming spectre of care.data – finally be overcome? Shreshtha Trivedi reports. 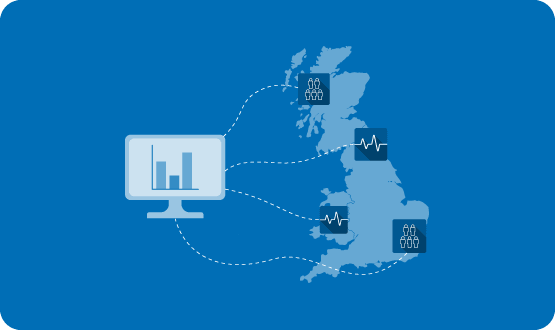 Few subjects have generated as much interest in the NHS in recent times as data analytics. The process of collecting, analysing and interpreting large datasets to understand previously unknown patterns and derive insight is increasingly being considered a game changer where healthcare is concerned. It is notable that the recent life sciences industrial strategy encourages the government to create regional data innovation hubs – a recommendation which NHS England chief executive Simon Stevens has heartily endorsed. At Salford Royal NHS Foundation Trust – a global digital exemplar and widely considered one of the most digitally advanced in the country – the last 12 months have seen the hiring of a team of data scientists to focus specifically on statistical monitoring and analytics. “These scientists are looking at care pathways, spotting variations and analysing the outcomes – all this information and understanding is then being shared with the clinical teams,” explains Emma Wright, the organisation’s director of information, intelligence and analytics. The trust has also made clear its intention to create a digital control centre, which will focus specifically on data and digital health. “Analytics is the future,” says Wright emphatically. At present, five hospitals at Imperial and two at Chelsea and Westminster have been able to convert their patient records into a digital format. Jarrold says the trusts are working together on implementing quality improvement programmes along with a single electronic patient record system. While advising we manage our expectations and not be swayed by futuristic headlines, Professor Neils Peek still thinks that recent improvements in artificial intelligence will enable data analytics to become ever-more sophisticated – and so revolutionise healthcare. “Powerful computer algorithms nowadays are able to interpret complex data flawlessly, which is something computers were poor at even five years ago,” explains the professor of health informatics at the University of Manchester and president of the Society for Artificial Intelligence in Medicine. He calls it a “technological breakthrough”, especially in the field of radiology and digital imaging. To further illustrate his point, Peek gives the example of AI algorithms developed by Stanford University researchers that can identify different skin cancers from moles and warts almost as accurately as dermatologists. “In a few years’ time, this specialised knowledge and expertise will be available on your smartphone app, making initial testing at home a reality,” he explains. Not to be left behind in the AI gold rush, private companies such as IBM Watson Health, Google DeepMind, GE Healthcare and several other start-ups are working on algorithms that will be able to do variety of tasks in the future – from predicting how likely will a patient be readmitted to a hospital to reading X-rays, ECGs, MRIs and ultrasounds. But should we be worried about such organisations having access to patient data? Can be we be sure of safety and quality control? The health service has always had a contentious relationship with big data, as patients and the wider public remain concerned about how their health information could be used without their approval. 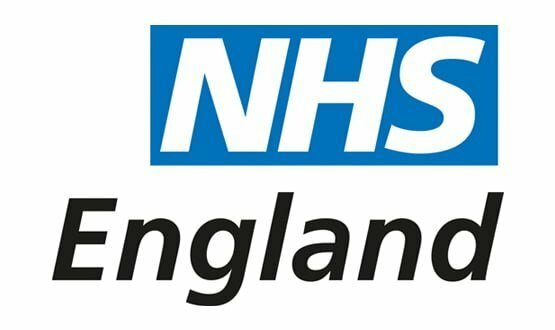 NHS England’s ambitious project care.data had intended to bring together psuedonymised data from different parts of the health sector. However, it was scrapped last year over consent and confidentiality concerns. More recently, questions were raised when the Information Commissioner’s Office found Royal Free NHS Foundation Trust’s sharing of patient data with Google DeepMind did not comply with the Data Protection Act. All four experts we interviewed acknowledged the privacy concerns around data analytics and agreed there needs to be greater transparency. For Wright, most patients “want and expect us to share information between primary and secondary care”. In Salford, a local integrated record does that for the purposes of direct care. Peek believes people will generally be happy with sharing their data as long as they trust the organisations which have access. Defining the concept as “diameter of trust,” he gives the example of Connected Health Cities in Manchester wherein independent citizen juries decided to support data sharing in order to improve the health of the people. The argument is that while most people agree to share information with their GPs or local hospital, things are less clear at a national level as people don’t feel the same level of attachment – there is no relationship. Along with engagement and confidence-building measures, pseudonymising data to protect patient confidentiality can be another way of addressing privacy concerns. While it may be the most controversial, patient consent isn’t the only barrier facing analytics. Lack of qualified analysts and a shortage of people with relevant mathematical and statistical knowledge is also a key issue. Along with investing in workforce, the NHS also needs to recognise the role these analysts can play in changing the healthcare paradigm, suggests Steventon. Wright, too, believes there needs to be more awareness about the value and benefit of analytics in healthcare. She fears there is a misconception among some of wider workforce that this is about “retrospective performance analysis,” which she says isn’t the case. The debate on safe and appropriate data extraction in the NHS is far from over. That much was clear after the ICO’s recent ruling on the Royal Free Hospital’s collaboration with Google DeepMind. Indeed, the ICO’s decision that the hospital had unlawfully released patient data may have stopped some embryonic data analytics projects in their tracks. It has certainly given trust directors and CCIOs major cause for concern. But it would be hugely counterproductive if innovative thinking came to a halt as a result. Safe and appropriate use of data holds the key to huge improvements in patient care. Fifteen years ago, EMIS Health began to collaborate with the University of Nottingham to explore how clinical data could be used to improve our nation’s health. It’s not overstating it to say that this not-for-profit academic-industry collaboration has transformed the way that GPs diagnose and treat major chronic disease. It also has some important lessons on how patient data can be used safely to improve care. We founded QResearch in 2002 as a not-for-profit collaboration with the University of Nottingham. It is led by Julia Hippisley-Cox, professor of clinical epidemiology and general practice and herself a working GP. Our aims were ambitious – to use the extensive patient data recorded on our GP software every day to improve people’s health in the UK. The QResearch database is now firmly established as a leading source of information for ethical medical research. It now contains anonymised data covering a historical UK patient population of more than 28 million people. Around 1,500 GP practices provide the data free of charge – and we continue to be grateful to them. Protecting patient confidentiality was critical to this project. Without robust measures in place, our aim to deliver beneficial, ethical research would have fallen at the first hurdle. Fifteen years on, I believe we have made a profound difference. Professor Hippisley-Cox and her team have used the database for ground-breaking medical research that has led to clinical tools that changed medical practice in the UK and beyond. Heart disease: Heart and circulatory disease kills more than one in four people in the UK, causing around 160,000 deaths each year (source: BHF). In 2007, QResearch published a new risk calculator (QRISK) to help clinicians better identify people at risk of developing heart disease. Following extensive evaluation, the calculator replaced the Framingham score which had been used for 30 years and was under-estimating the risk in certain populations, including the most socially deprived and South Asian men. QRISK is now used extensively in everyday medical practice. The rate of death from heart disease has plummeted in the last 10 years, and while we cannot claim this is all due to QRISK, I have no doubt that improved detection of risk and preventative intervention has played an important part. Diabetes: In 2008, we published the first evidence highlighting that up to half a million patients with diabetes were going undiagnosed despite strong evidence of diabetes in their medical record. As a result, we implemented decision support algorithms so that clinicians could easily identify these patients and test them for diabetes immediately. Cancer: In 2013, QResearch released the QCancer algorithm to help GPs spot signs of cancer earlier (diagnosing cancer is complex, many patients present to their GP up to six times before a referral is made). The algorithm works out the risk of a patient having a current but as yet undiagnosed cancer, taking account of risk factors and current symptoms. There are two calculators, one for men and one for women. We are carefully watching diagnosis rates of cancer for evidence of the impact of this tool and there is certainly evidence that referrals are being made earlier. 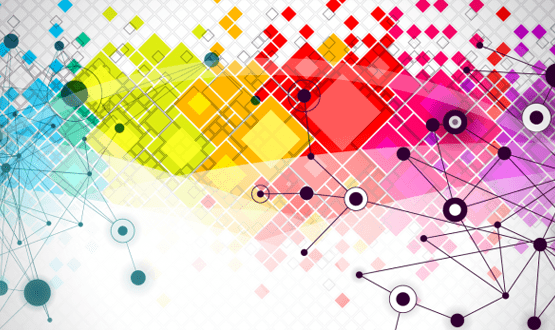 Few projects will be conducted at the size and scale of QResearch, but the collaboration provides some valuable pointers for everyone looking to use patient data to improve care. Confidentiality comes first. However important your research, the end never justifies the means if patient confidentiality is breached. So before you do anything, make sure that you have thoroughly considered how you will protect patient data. Consult with key stakeholders – users, patient representatives, academics, privacy advocates and IG experts. Industry events and online discussions are good sources of practical advice; you can read more about QResearch’s individual approach here. All but only. In the era of big data, it can be tempting to think the bigger the better, but ethical practice dictates that you should limit the amount of data you are accessing to ‘all but only’ what you need for your particular purpose. You need to carefully scope your research project in some detail at the outset. This takes time – don’t rush it. Think big. Accessing patient data is a tricky area, and while we do need to tread carefully, this doesn’t mean we should limit our aspirations. We all need to think big – the scale of the challenge facing the NHS and public health demands it. Used in the right way, patient data is a powerful tool to improve the nation’s health. We’ve proved it. Organisations are looking to compete and to accelerate innovation. Concurrent transaction processing and real-time data analytics is vital for improving customer experience, business productivity, and operations. InterSystems works directly with organisations across the globe to reduce data management complexity, enable real-time data analysis and insights at the time critical decisions are made, speeding innovation and driving improved outcomes across an entire enterprise. For healthcare organisations, InterSystems HealthShare Health Insight is a robust analytics development solution that unlocks the value of shared health information for population and performance management. It brings together all your data assets for analysis and the delivery of actionable insights when and where needed. Healthcare is in the process of a massive transition – patient demographics, delivery models, provider relationships, technology, consumer expectations, and payment structures are all changing. To manage through this transition, you need information and insight. Health Insight brings data together, organises and normalises it, and then delivers it in near real-time to an extensible hypercube for reporting and analysis within the HealthShare environment. That same, cleansed, comprehensive data can also be loaded into purchased or self-developed analytics applications, enterprise data warehouses, or clinical decision support solutions to enhance understanding and maximise value throughout your healthcare enterprise. The adage “what gets measured gets managed” is driving the design of new quality management systems, payment mechanisms, and performance measurement programs. The result is a wealth of metrics intended to evaluate clinical outcomes, behaviours, functional status, throughput, and financial performance, all of which you need to monitor and report. Health Insight includes a metric development and configuration environment and a starter set of healthcare measures. You can use these measures as is, or as examples for developing your own. Metrics can be included in aggregate or individual scorecards, used to identify and tag population members, and used for comparative benchmarking. Safe, coordinated care requires analytics delivered to clinicians in time to identify opportunities for action and enable interventions. This is the kind of closed-loop management that leads to reduced readmissions, lower sepsis rates, and reduced per member per month costs for chronic disease populations. Health Insight makes closed-loop management possible through automated event logic and notifications configured for the issues that matter to you and your organisation. It enables you to properly manage those who are sick, and encourage healthy behaviours for those who are not. For more than 35 years, InterSystems has been the engine behind the world’s most important applications. 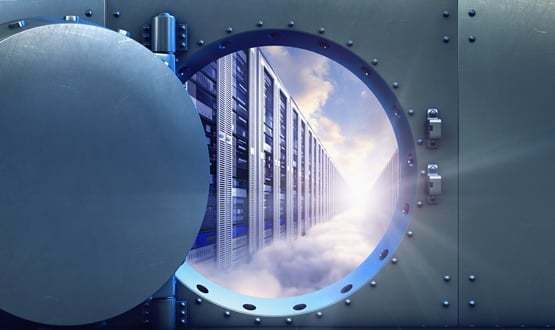 In financial services, healthcare and government and wherever lives and livelihoods are at stake, millions of people worldwide depend on the power, scale integration and performance of InterSystems – the power behind what matters.